Passing through Gainesville, Florida yesterday, I stopped at the Trader Joe’s for some groceries. Of course, I had to park my RV way in back of the parking lot where there is more “leg” room for her. 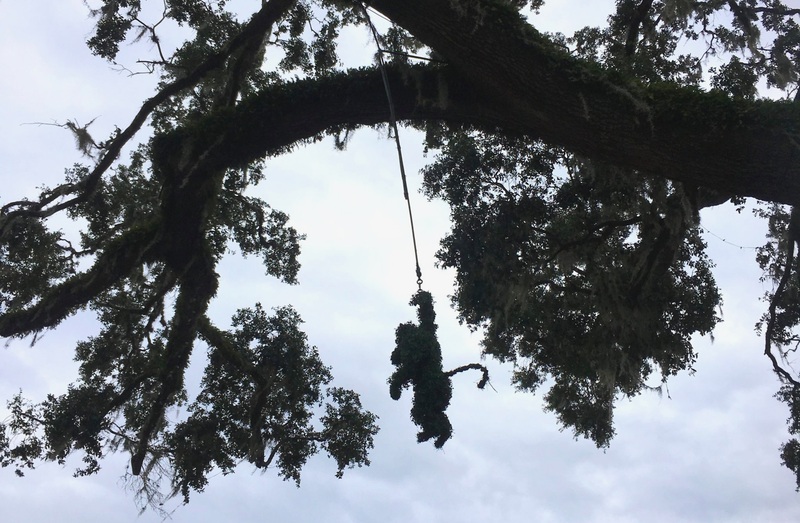 a clever little plant “monkey” swingin’ in a tree. What fun! At the state park where I was going to volunteer for 2 months, I got to my campsite; something did not feel right. Beautiful park, beautiful site but the feeling would not leave me. Took a walk to Manatee Spring thinking it was just road fatigue. 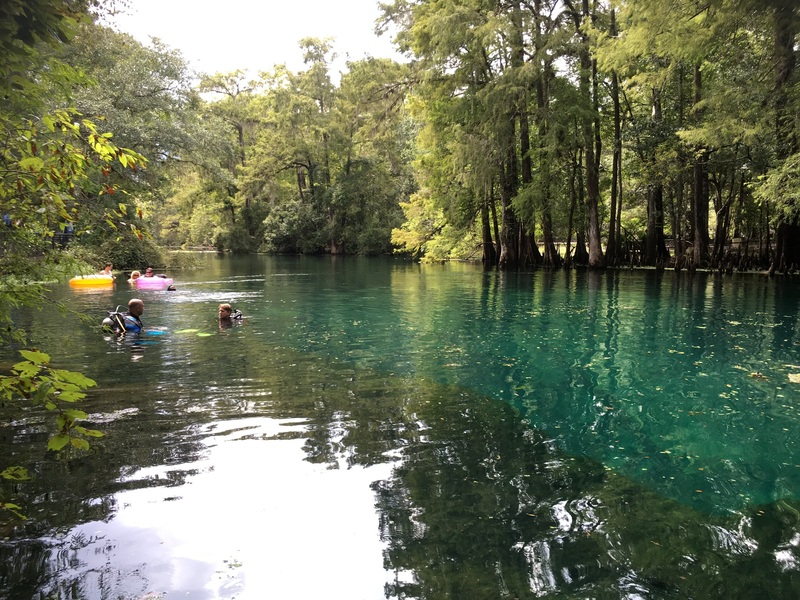 Cool waters, cypress trees….what is not to like. When I got back, I decided to leave in the morning. Just as I got everything packed up, a thunderstorm broke loose and continued for hours. Perfect timing. Later, I knew I had made the right decision when I tried to call home and had no signal on my cell phone and no access to internet. (Park staff had misinformed me) Oh well, it happens. One of the many joys of living in a home on wheels ~ when something is not right, those wheels are ready to roll. This entry was posted in Uncategorized and tagged HOME ON THE ROAD, Road Trips, STATE PARKS, tincantravelerPhotos, Travel. Bookmark the permalink. I’ve had that feeling once or twice – I always act on it too. Well done you! Thanks ~ the intuition knows! what a find the little monkey! So, are you staying 2 months?